Navratri Colours: The 2018 list of 9 colors to wear a dress on each day of the Navratri colors festival. 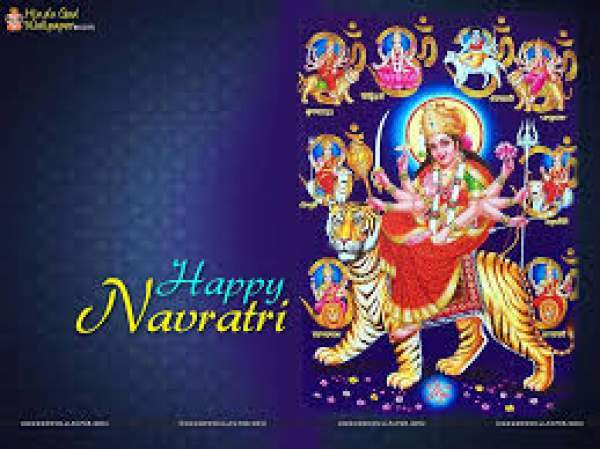 This year, the Navaratri 10-day Hindu festival starts on October 10, Thursday, and will be celebrated till October 19, Saturday. Basically, it’s a 9-night event which ends with Dussehra / Vijayadashami or Durga Puja to celebrate the victory of good over evil. According to beliefs, people like to dress in different outfits of colours dedicated for these days of the week. After the start, the festival follows the fixed cycle. During the week, the devotees worship Goddess Durga and her nine forms on each dedicated day. However, the ritual is a little different each one of them. The first color of the Navratri based on which weekday it has started. Rest of the colors follow a fixed cycle. The following table lists all the nine days with their names and colour to wear respectively. The festival always starts with the ritual Ghatasthapana to summon the Goddess Durga. An incarnation of the Goddess Parvati, Shaiputri is worshiped on the first day. The name means the Daughter of the Mountain – representing nature and purity. Parvati’s unmarried form known as Brahmacharini is worshipped on the second day. She took atonement to marry Lord Shiva. She is a epitome of pious strictness. Goddess Parvati’s married form, Chandraghanta is worshipped on the third day. She got this name because of the half-moon on her forehead which appears as a bell. She is a figure of courage and bravery to fight evil. Goddess Kushmanda is worshipped on the fourth day. She is believed to be living inside the sun to give light & energy; and have created the universe. She is associated as the source of all things. Kartikey’s mother Skandamata on the fifth day. Goddess Katayayni is worshipped and it represnts her warrior form. In this form, Maa Parvati killed the buffalo demon Mahishasura. The dark night form or aka Kalaratri is worshipped on the seventh day of navratri. She represents fierceness and protects her devotees from all troubles. Maa Mahagauri is worshipped today, maha ashtami. She is believed to be the younger version/form of Shaiputri with fair and perfect complexion. She is the epitome of beauty, grace, and the sins’ cleansing. As Siddhidatri, the Goddess Durga is worshipped. She contains all the eight siddhis. She is believed to bestow powers onto her devotees. On the 10th day, Dussehra or Vijayadashami is celebrated in many parts of India and abroad. People wear any bright colour on the last day of Navratri colors 2018. 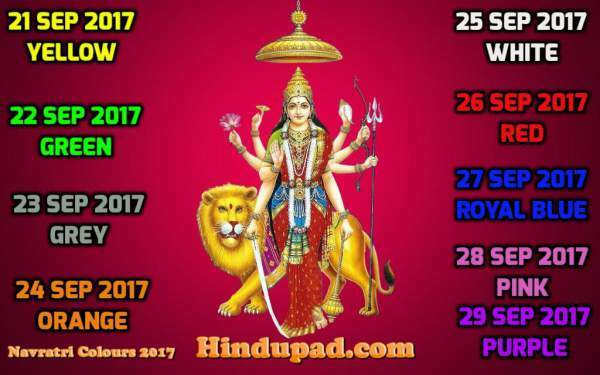 Hope, you got all the details regarding navratri colours 2018. Do you wear and follow the traditions? Let’s know in comments.